Jim Satterwhite founded Coastline Texas Rail Services in 1985 after a 20 year career serving our country in the United States Air Force. His love of the railroad business can be traced to the family farm near Greenville Texas where the abandoned right of way for the Texas Midland Railroad still exists after the many decades. Jim has been sought to appraise everything from a fleet of rolling stock for a major corporation to a massive collection for a railroad museum. This Missouri Kansas Texas (MKT) caboose was built in 1966. When MKT Railroad merged with Union Pacific Railroad on August 12 1988, The MKT #113 and four other cabooses did not make the merger. The #113 was retired off the original MKT Railroad in 1989. 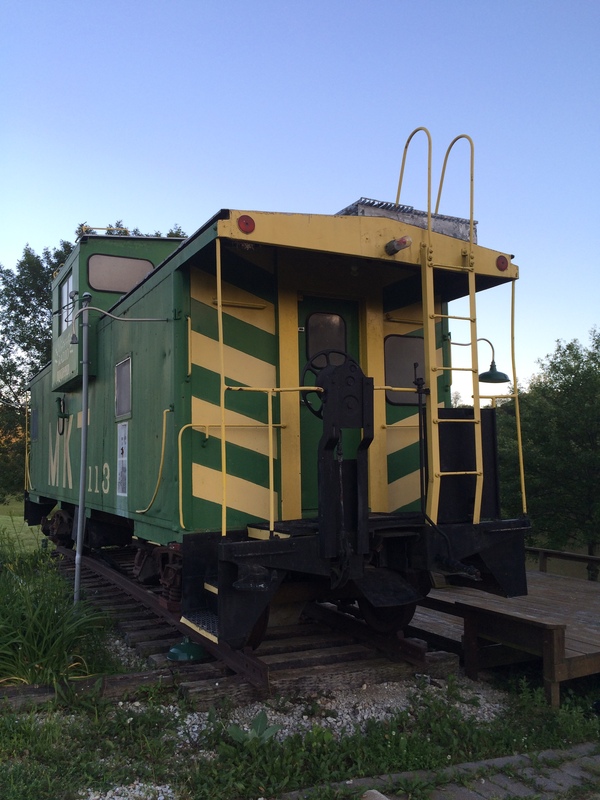 This caboose was purchased in its original condition in 1999. The caboose has been remodeled since with original paint colors & new electrical on the exterior & interior, the interior has been remodeled with carpet, vinyl flooring, sandblasted and repainted walls, all electrical outlets & switches, kitchen with sink and fridge, electric heating and air, toilet and bedding. It has the original conductor's desk and functioning windows. This will also come with the tracks to set on, a railroad sign, and original MKT memorabilia. This is a chance to own a piece of railroad history and these cabooses do not depreciate in value. Buyer is responsible for moving from present location. Bob Has Been OLI Volunteer Making Hundreds Of Presentations since October 2000 To Drivers, Ed Classes, Fire Departments, School Bus Drivers, Various Corporate Safety Meetings !! SEE TRACKS THINK TRAIN ! !